As Universal Ali, the now known Uni-Ali wanted to see if he could complete his own album. 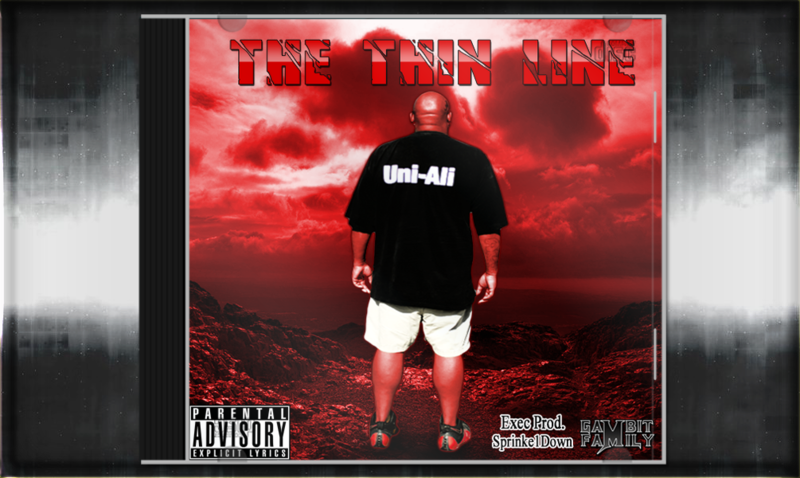 The Thin Line is Uni’s debut album and display’s the skill set Uni was developing and would sharpen in his future. Featuring production from both Sprinkle1Down & Grade A Muzik, Uni Ali delivers a gritty look into the backwoods of Alabama, with his airtight cadence and commanding presence this album is one for the ages. Posted by Adminstrator in Solo on February 8th, 2014. This post has Comments Off on Uni Ali: Thin Line.